Ukraine’s housing market continues to struggle, despite improved economic conditions. 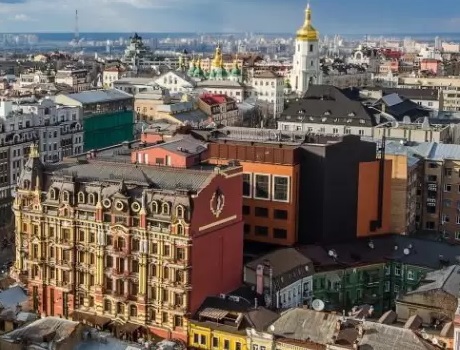 Secondary market apartment prices in Kiev fell by 6.27% (inflation-adjusted) during the year to Q3 2018, to an average price of US$ 1,065 per square metre (sq. m.) – compared to a y-o-y decline last year of 6.81% in Q3 2017. House prices fell by 0.88% q-o-q in Q3 2018. Ukraine's economy grew by 2.5% last year, after an expansion of 2.4% in 2016, and declines of 9.8% in 2015, 6.6% in 2014 and 0.03% in 2013. Analysis: house prices have been falling in the past five years, particularly in 2014 (with prices plunging 37.38%) because of hryvnia devaluation due to the Russian war. Currently, house prices are 71% (inflation-adjusted) below their September 2008 peak of US$3,627 per sq. m, according to S&V Development. Kyiv apartment costs are around €2,807 per sq. m.
Recent news. Ukraine's economy is expected to expand by 3.5% this year and by another 2.7% in 2019, according to the IMF.